And YES I'm a fanboy of these speakers (own the LSiM 705s) but NO I'm not affiliated with seller in any way..
head_unit, aroney, The Pinhead and 5 others like this. That was an excellent deal, I have those LSiM707's myself. But the deal was for SoundAndVision readers. You will note the date on the sale is Dec 19, 2018 and the sale is through N.Y dealer Adorama. Sorry, too late! Maybe this next upcoming Christmas. I dunno...I can click through the links provided and put them in my cart, and proceed to my paypal. I think you can still get these deals..
Litejazz53 and displayname like this. Interesting, I did go directly to their site and looked under the "specials" menu and didn't see anything. They did have the LSiM707 speaker, on their main site. It was only showing the retail price and in the shopping cart, the same thing. I had just clicked on the adorama.com link at the bottom of the page. But you are CORRECT! When you click on the links up on the page where the specials are you do get the sale prices. New York-based retailer Adorama is offering some crazy deals exclusively to Sound&Vision.com readers on a half-dozen speakers from Polk Audio as we enter into the home stretch of holiday shopping. Discounts range from 58% to a whopping 67% off and include free shipping. Here’s a rundown on the deals . . .
A complete LSiM707 home theater speaker system — including the LSiM707 towers, LSiM706c center-channel speaker, and LSiM7-2 F/X surround speakers — was a Sound & Vision Top Pick in 2012. Read Tom Norton’s review here. See specs and complete details on the LSiM707 here. See specs and complete details on the LSiM705 here. See specs and complete details on the LSiM704c here. See specs and complete details on the LSiM706c here. See specs and complete details on the LSiM703 here. And the deals are are still valid! NOTE: You can only get to these deals from these links! It doesn't appear that you can get to them directly, from the web site. These are really excellent deals! 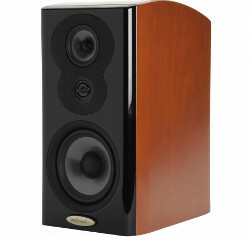 A pair of the LSiM705's for $1,200 and the other LSiM speaker's are really excellent deals! The LSiM towers are really excellent speaker's. Thanks for the post! SHF member's, don't pass these deals up! Polk has not had a sale on the LSiM line for a few years now (that I am aware of). As I have posted about previous sales that Polk has offered on these and other speaker's. The Pinhead, Rekkerds, bluemooze and 2 others like this. They have run this deal annually for a couple years now around the holidays. This year Adorama became the exclusive dealer for LSiM. I strongly considered it this year, but after a demo I couldn't pull the trigger. They require a significant amount of power and current (despite the 8ohm rating)... and I wasn't ready to dive in on speakers and an amp. I don't know. I have been buying different Polk speaker's around the holiday's for several years now. They would hold their 50% off sale between Thanksgiving and the end of November, every year. I have not seen them run it in 2-3 year's now. I used to post the sale on the Forum every year. I bought something from them during the sale for four years in a row. A Polk sale of 50% off there already attractive retail pricing is so good, it is almost stupid not to take advantage of it. I bought my pair of LSiM707's during the November sale, and then again, the offered a sale early the following year, I think in February on the LSiM line only and I went back and bought their matching center channel speaker beast. I thought it was a stupid cheap deal at 50% off and these are at $60% off now! I will agree with you on power. I don't think that it has that much necessarily to do with Polk as it does to do with the type of speaker that it is. 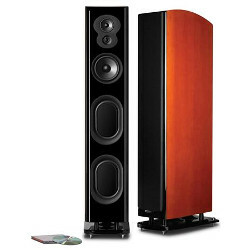 You are talking about a really large tower speaker, with five driver's, which include two rather large bass driver's. The whole intent of this speaker is to pressurize a large room, and they will! But, we are dealing not with speaker's which are horn loaded design's but conventional direct radiator's, and they are going to require a low of power to accomplish this. I have been driving, what ever pair of front speaker's that I have been using as my front main speaker's for both stereo and HT with an Emotiva XPA-2, generation one, 250-Watt power amplifier, which is also rated at 400-WPC into an 4-Ohm load. It is a heavy 72-lb. amplifier and drives the LSiM7017's particularly well. But yes, I would recommend having a good deal of power available, if you want to get the optimum performance from these speakers. If you do give them the power that they need, then they really do shine! I have seen them reviewed and compared to speaker's in the $6k to $8k price range. I have to comment, in the years that I have been using them, I have no complaint's what so ever. They have done everything that has been asked of them. I will also add, that if your don't look closely at the logo at the bottom of the cabinet that holds the magnetic grill in place, you would never know or even think that this is a Polk speaker. The design and finish is excellent. They scream "audiophile" speaker! Having these sale prices on the LSiM speaker line, might represent the bast speaker deals in the planet right now. If you don't have a large room (my listening room is about 450 sq. ft.), then at $600/ea. the LSiM705's might be a better fit and are being offered at an excellent price also. As another member recently pointed out, in another thread, that many speaker manufacturer's don't even offer a center channel speaker, which he thought was leaving money on the table. With the LSiM line, you can get a large center channel speaker, or their smaller one, in addition to tower's or bookshelf's that you can use in the rear and they also offer matching surround speaker's. The LSiM line can be used for stereo or HT or both. Jimijam, The Pinhead, bluemooze and 2 others like this. Would a Rogue Cronus Magnum be enough to power the 703's or the towers without clipping at higher volumes? Yes, I wasn't knocking the quality of the speakers or the deal at all. They are competitive at their msrp, and insane at the current sale prices. But unfortunately life happens outside of audio too, and I personally am not willing to jump on this deal and "live with it" until I'm ready to move on a new amp as it may be awhile. I could probably live with the 705s in my room, but I would still need an amp upgrade. Plus I don't want to be left wondering either. With the correct power, the 707s really come to life. But when I heard them the life was quickly sucked out of them when they didn't have enough current. Sound and Image rated the minimal impedance at 2.8ohms, and after hearing these on a couple different amps, I believe it. I have a Cronus Magnum with KT-120's and two other Rogue amplifier's. I never ran the LSiM 707's off of it, because I didn't see any point of doing so, but they should have plenty of power to run the 707's. I understand that you were not knocking the quality of the LSiM's or the deal. I agree with you on them needing power to perform. I wouldn't think that your Harman Kardon HK 3770, would be an ideal choice to power the 7017's with. The Pinhead and displayname like this. riverrat, 62caddy, SandAndGlass and 2 others like this. I needed another pair of speakers like a hole in the head but I’ve been so pleased with the 705 & 703’s I have I just couldn’t resist this sale & convinced my better half that “we” could not pass this up. Ended up with a pair of 704c’s that fit perfectly into a 10” high bookshelf I’ve been needing to fill. Very nice for not a lot of ($250ea) money. 62caddy, displayname and SandAndGlass like this. Seriously pondering a pair of 705s but the timing couldn't be worse. The MC2505 is plenty for a pair of 90 dB sensitivity Bostons in my secondary system so it should do fine with the 88 dB 705s. Decisions decisions. Due to the on going poor state of Polk's customer service and the way they have been treating customers I advise anyone considering their products to think twice. George P and displayname like this. Polk and their product have been great to me over the years. are a gateway d*** however. Nice deals. I'd get a pair of 707s and a 704c if the 707s would fit where I need them. Polk makes great sounding speakers. I still have my old SDA CRS+s at another house. SandAndGlass and Martin K like this. Audiowannabee, Archguy, SandAndGlass and 2 others like this. T1000. I've had them since new. I am a Boston Acoustics fan. The T1000’s are very good speakers, but to my ears, the 705’s are significantly better. I don’t think you’ll be disappointed. SandAndGlass and 62caddy like this. Dang - coming from you, Jesse - things must have taken a steep dive. wtf? Alright, I'm convinced. Order placed. I don't play too loudly so hopefully the MC2505 will be up to the task. billnunan, Archguy, SandAndGlass and 1 other person like this. It'll probably be enough to get you started, but also gives you something to shop for next! I sure hope not. Just spent a few $$$ already getting the MX113 & MC2505 freshened and both pieces are near mint. I'll be keeping a sharp eye on the meters though.